This highly palatable, Veterinarian recommended Lactobacillus acidophilus for cats is the ideal way to give your precious cat digestive support required for optimal cat health. 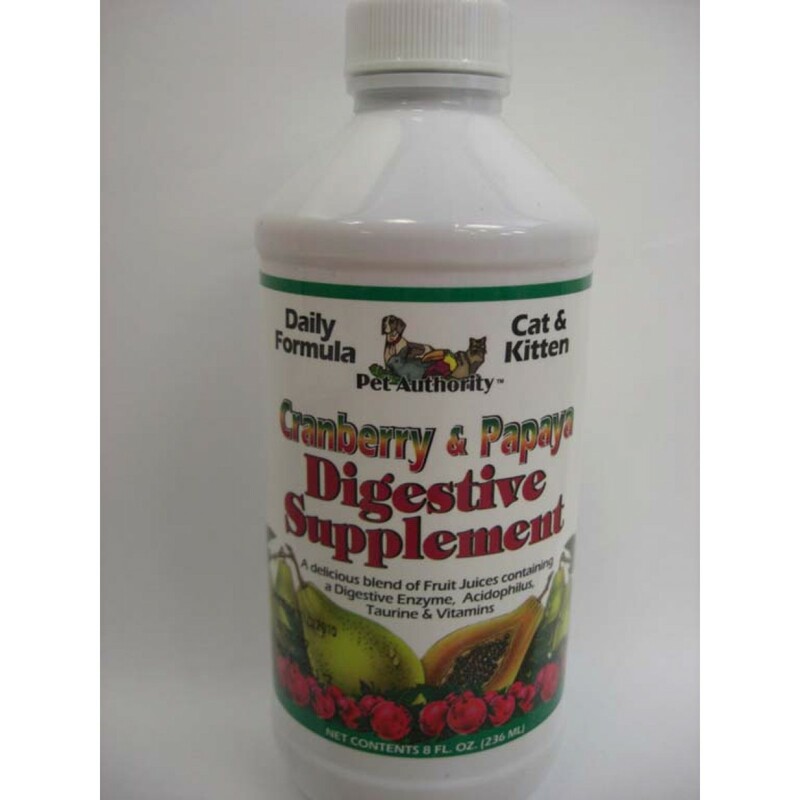 Pet Authority Inc.™ Cranberry & Papaya Digestive Supplement contains Lactobacillus acidophilus cultures ( the healthy culture found in yogurt ) to help cat digestive problems. Beneficial bacteria, such as Lactobacillus acidophilus are called probiotics or "friendly bacteria" and these bacteria help combat digestive problems. Pet Authority Inc.™ Cranberry & Papaya Digestive Supplement formula will provide your Cat and / or Kitten with Anti-Oxidant Vitamins, and will fortify them with Taurine, Natural Juices & Yucca. The unique combination of natural ingredients in the Pet Authority Inc.™ range of cat supplements will help to maintain your cats heath and quality of life. Pet Authority Inc.™ Cranberry & Papaya Digestive Supplement is a fast-acting formula that can help improve your cat's digestion, treat diarrhea and dehydration, eliminate smelly stools and foul gas and prevent urinary tract infections. This digestive supplement will help to reduce bacteria that forms plaque, which can help to reduce gum disease and bad breath. Additionally, this formula can help to relieve muscle and arthritic pain and it can also prevent shedding and scratching caused by stress from digestive imbalance. 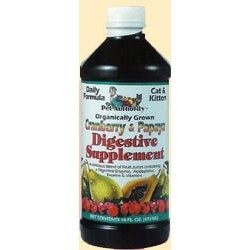 The product is Veterinarian Recommended for Cats & Kittens. Pet Authority Inc.™ understands your need of providing your pets the best they can get!